In the last few months, I've noticed how my baby girl is turning into a little girl. It's happening before my eyes and I can hardly believe it. It's bittersweet, because she's not a baby anymore, but it's also amazing to see how she makes connections, associations and plays pretend. One of her favourite things to do is play with her babies. She has a few, and received a couple over the holidays, too. A few months ago, she would simply cuddle them and hug them, but over the last little bit, she has changed. Now when she plays, she's their mommy. I love watching as she feeds them, changes their diapers, covers them with a blanket to take a nap. It's all very sweet, and as I said above, truly amazing. When I got the opportunity to test Hasbro's Baby Alive Real Surprises Baby Doll, I knew Isabelle would love it. Shy from having a real pulse, this baby doll is as real as can be. She's a good size, she eats, pees, poops and shakes her head when she means 'no'. This baby has beautiful big eyes, and comes with a variety of accessories - bib, sippy cup, plate and spoon, diapers and real food packets to mix up her purees. Isabelle loves to sit her baby in the high chair and pretend to feed her. Isabelle is just about to turn 2 and she loves this baby, and if she was even a little bit older she could (and will) enjoy the full potential of this doll. 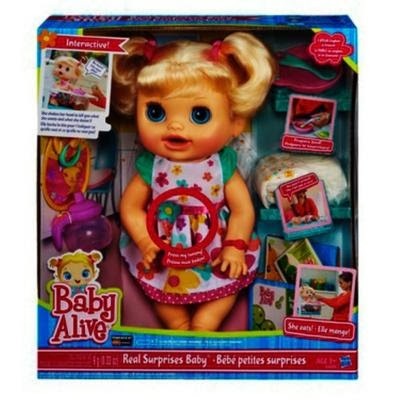 I think Baby Alive Real Surprises Baby Doll would make an excellent gift -- in addition to teaching real life skills (like feeding and diaper changing), it is a nurturing toy that your little girl (or boy) will love. Hey, and I'm not the only one who thinks so! 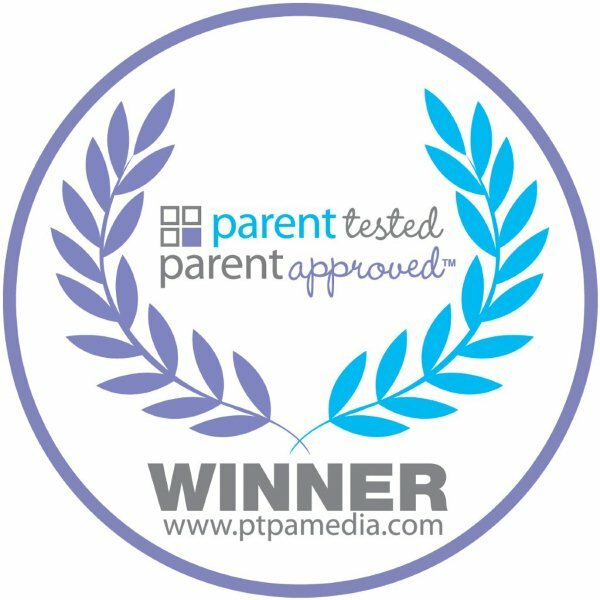 The Baby Alive Real Surprises Baby Doll is a brand new recipient of the PTPA Award! Speaking of winning, how would you like to WIN a Baby Alive Real Surprises Baby? It's easy to do! Just fill out the rafflecopter below and cross your fingers! I would love to win this doll, to donate to a local charity next Christmas!